You know I’ve been in a crocheting mood lately. So it’s no surprise that I would make a decoration by crocheting. 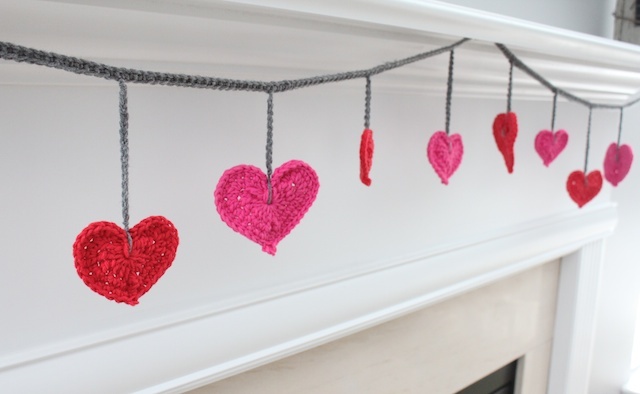 I came up with this pattern for a crochet heart garland for the fireplace. It was rather simple to make. 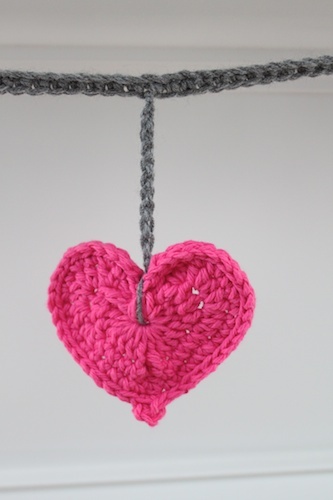 And the possibilities of what to do with crochet hearts are endless. This year I am actually decorating for Valentine’s Day. It always sneak up after the holidays. So I have a few other things I am working on for Valentine’s Day this year. Update: Because many of you said you were interested in having this pattern, I decided to put it together for you. The pattern is appropriate even for beginners. Provides pictures in the tutorial to show you what it is supposed to look like. Is only for personal use only and not for selling the product. Click the button below to purchase the pattern. It will take you to PayPal for payment information. Once received, I will email you the pattern within 24 hours. Be sure to include your email address where you would like to receive the pattern. No shipping fee! Yipee! Thanks for supporting Simply Modern Mom! Hope you enjoy the pattern. it sure is cute and i’d love to know how it was done! so cute and cheerful too! I would love a pattern, I’m not a very good in crocheting but I’ll love to try something like that. Yes, yes, yes!!! I´m in love of this garland!! Yes, please post the pattern! YES!! Not sure if I could do it… I’m a easy scarf kinda girl, but just adore this garland! Would love to try!!! I love the hearts and would love the pattern if you are willing to share! 🙂 Thanks so much. Just stumbled upon your site when looking for diy infant skirts (came up with your knot-me skirt–so cute!). Anyway, I’ll definitely save your site to my list, and would love to find this heart tutorial. Turned out really cute! Yes…I’d love a pattern. Maybe I can pick up crocheting again!! If not, my mother in law or neighbor could make me one. Gorgeous! I’d love a pattern for this! YES PLEASE PLEASE PRETTY PLEASE!!!!! Yes, I would love to receive the pattern for your hearts! I just found your site and would love this pattern! Yes, I would love your pattern…I’m already thinking about next year. 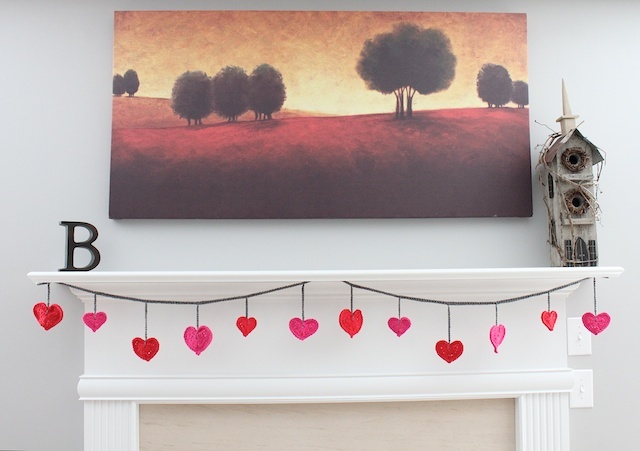 Please,post me the pattern of the heart-garland.It´s wonderful!